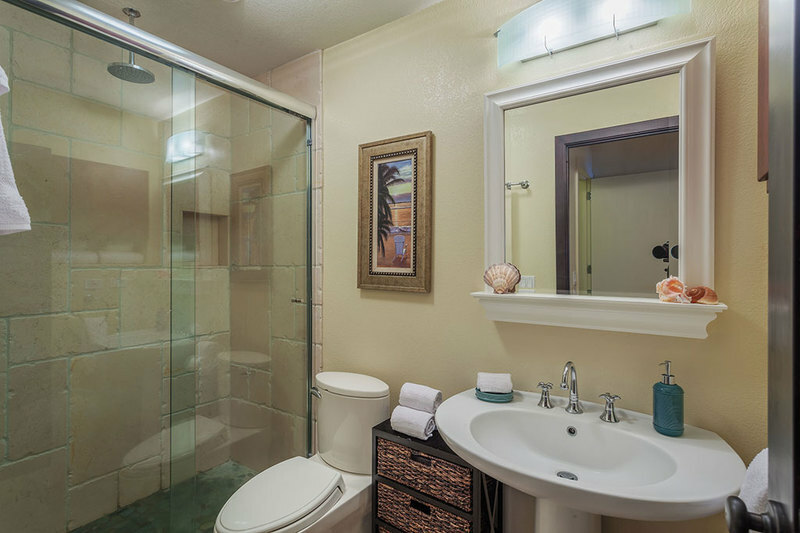 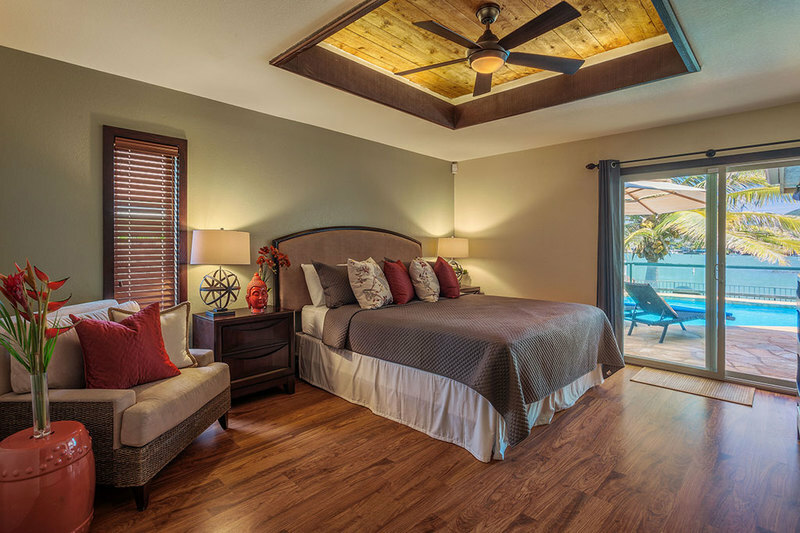 Marina Retreat – Luxury Vacation Homes, Inc. 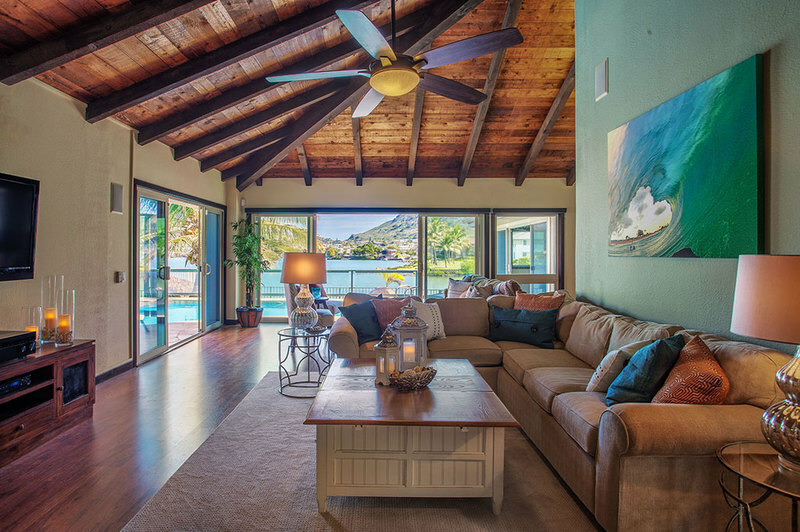 Welcome home to Marina Retreat, a private retreat that is all your own. 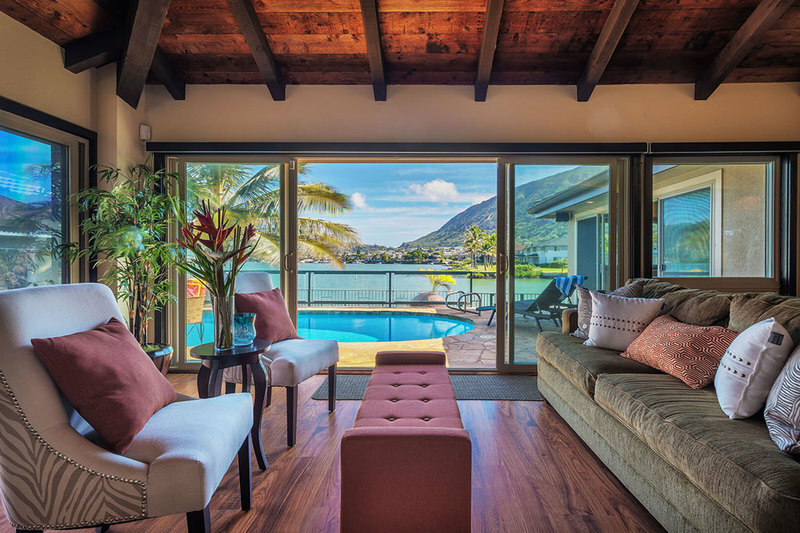 Once you step inside the gate of this beautiful marina front home, you will feel as if you have literally stepped into your own private compound – an island paradise just for you and your loved ones! 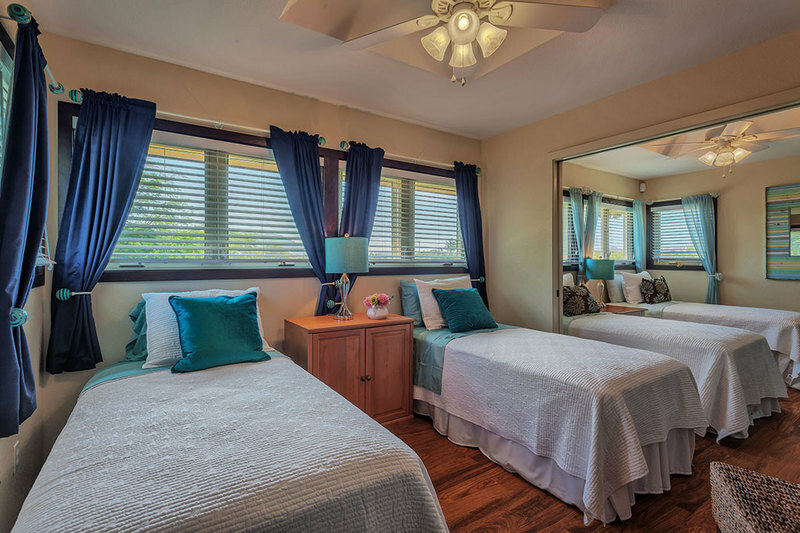 With 5 bedrooms, 4 baths, a built in bunk bed and a sleeper sofa. 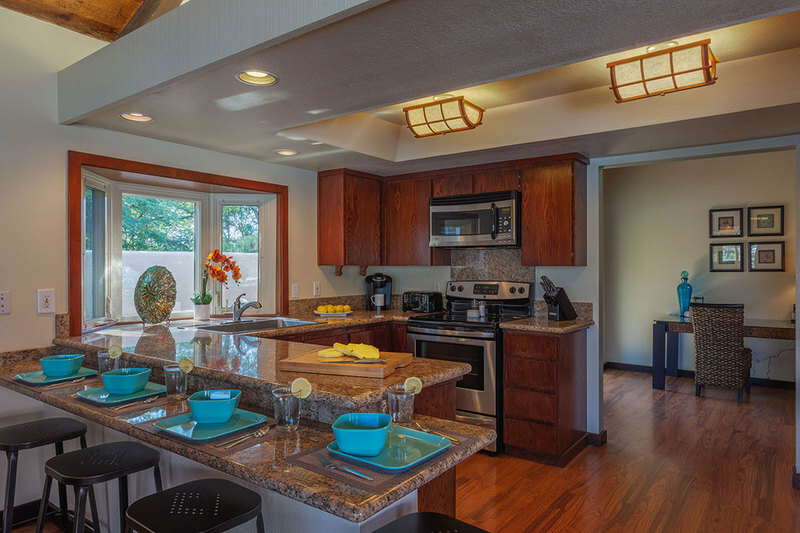 This open-concept floor plan with soaring ceilings and large rooms has plenty of places for everyone to flow. 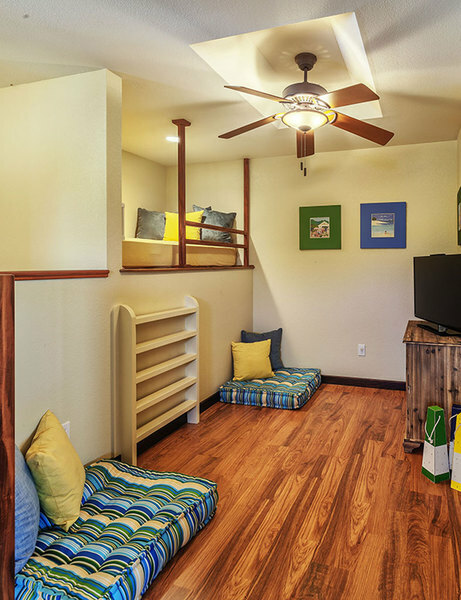 The little guys may enjoy the hidden room under the stairs or the gaming nook upstairs. 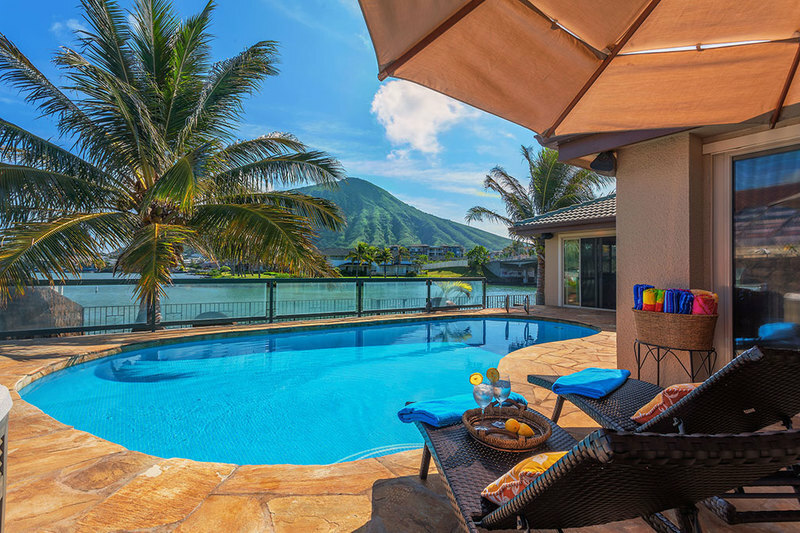 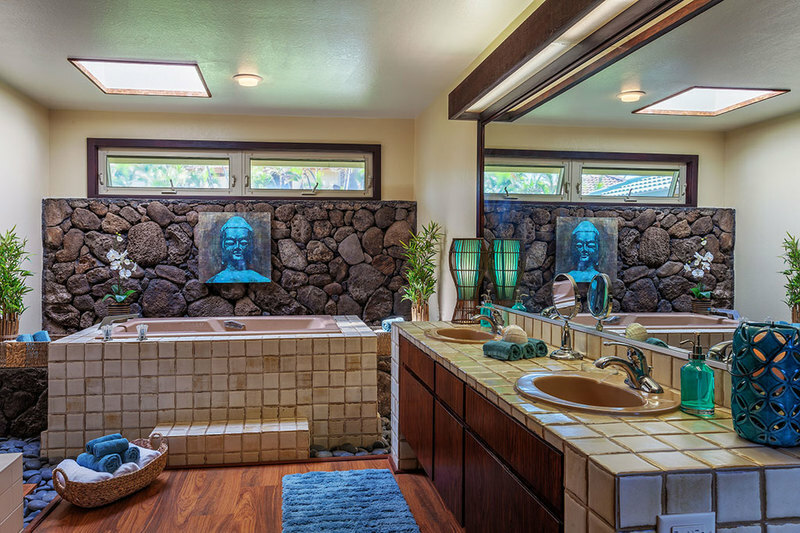 A sparkling pool and Jacuzzi sit facing the water of the back bay, in the shadow of the majesty of Koko Head Crater! 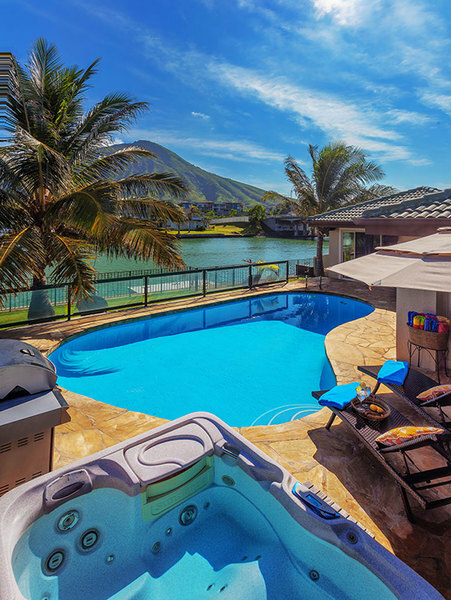 Fish off your own boat dock or launch the kayaks just steps from the house. 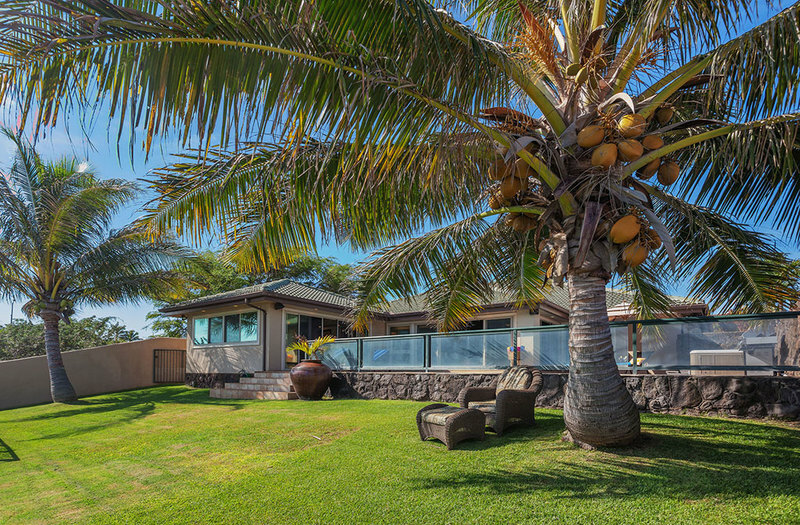 The view of the sparkling water dancing in the sunlight amidst swaying palms is SPECTACULAR! 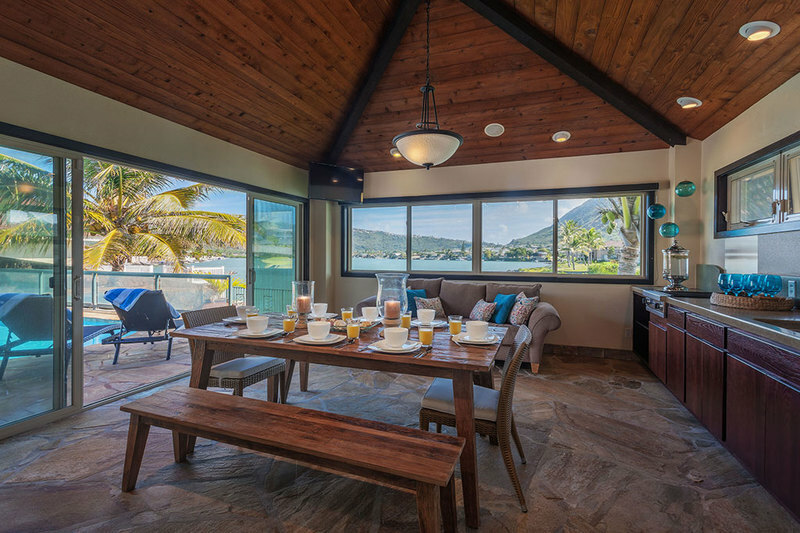 Play croquet or barbeque poolside after you toss around the football in the back yard, OR choose a comfy chair and devour your favorite book in the shade of a swaying Palm tree, while the healing tropical breeze of our island home delights your senses and soothes your spirit! 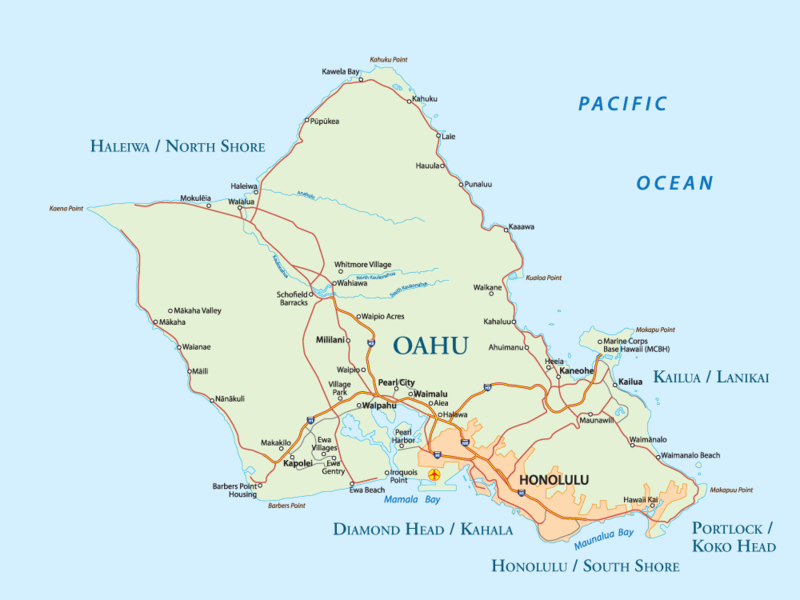 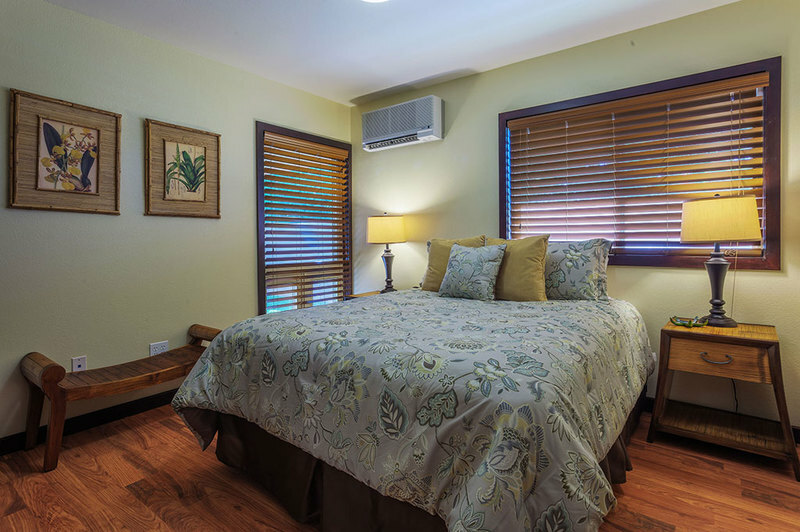 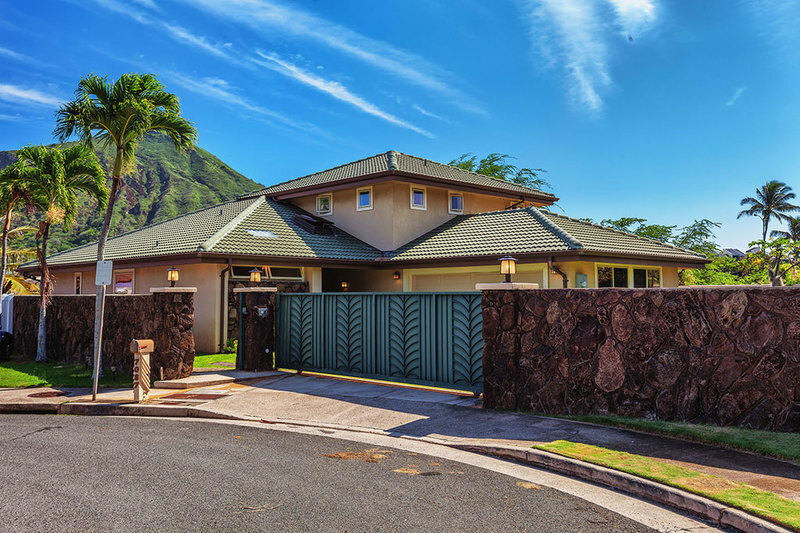 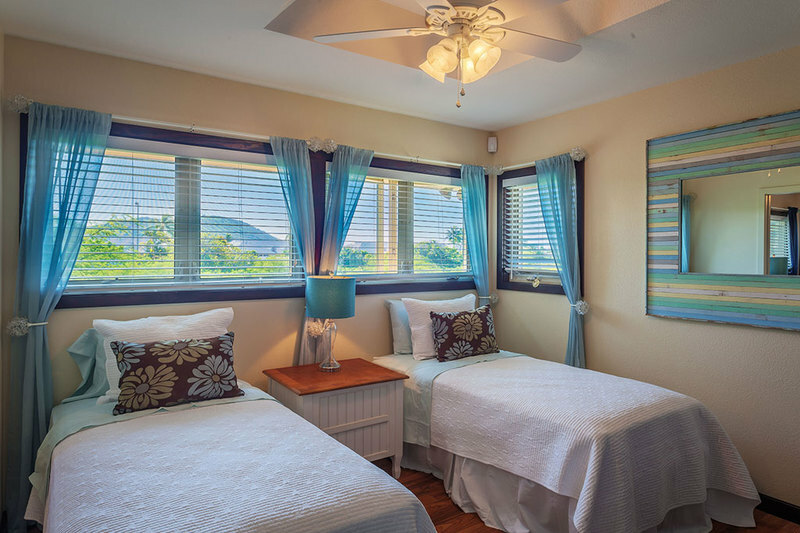 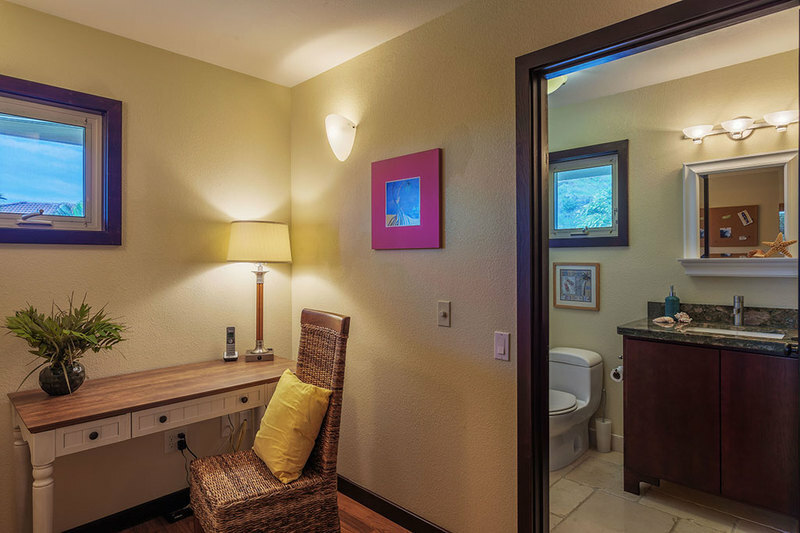 This vacation retreat is within a 5 minute drive from world famous snorkeling at Hanauma Bay, Costco, shopping, dining, movies, water excursions and island adventures sign ups, great hiking, beaches and adventure! 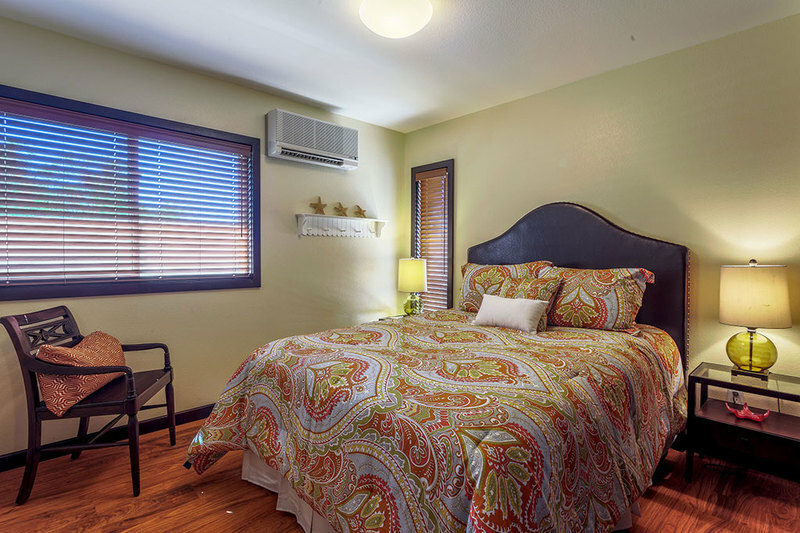 Marina Retreat is a beautiful place to create beautiful memories! 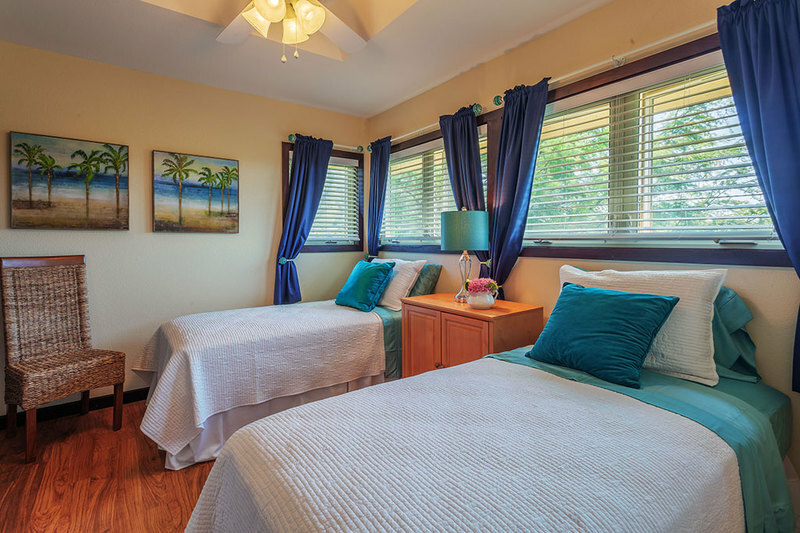 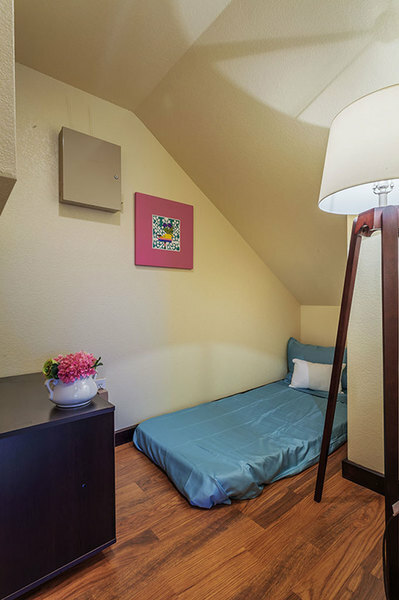 Bedrooms 4 and 5 are separated by pocket doors that can be opened for the ultimate kids room.